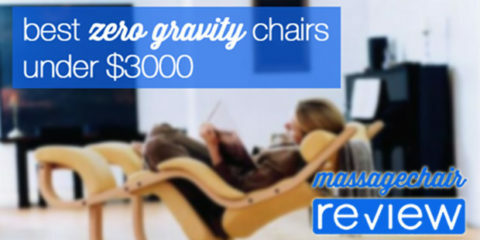 Which 4D zero-gravity massage chair will rock your world? 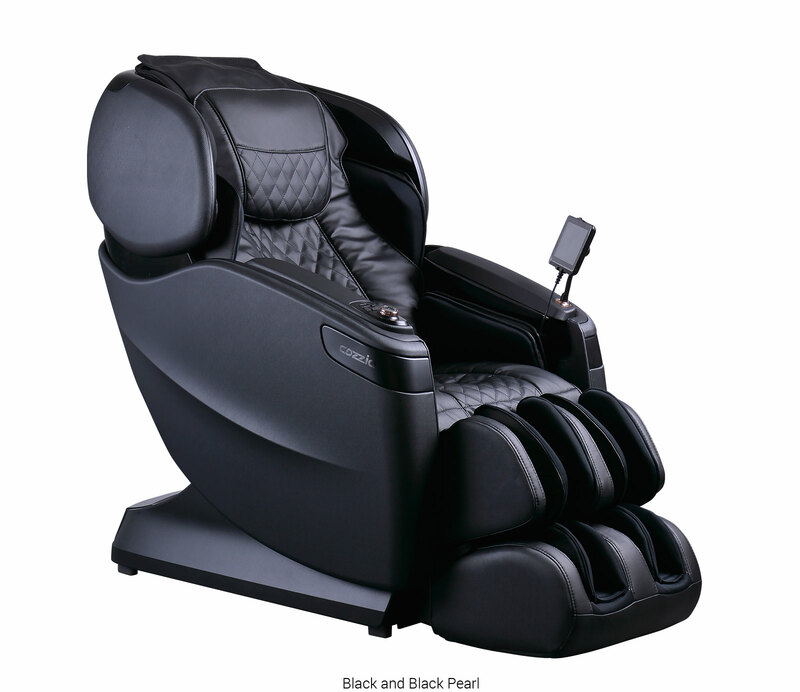 On the surface in a massage chair comparison, the Osaki OS-Pro Maestro and Cozzia Qi SE seem to be similar chairs. Both have two stages of zero gravity, 4D rollers, and 60+ airbags for an intense compression massage. 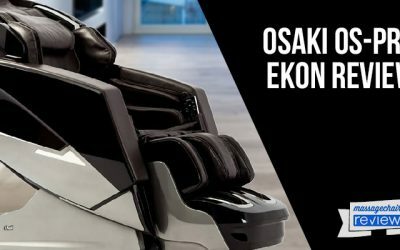 But the price difference between the two chairs – close to $3,000 – begs the question: What does the Osaki Maestro have that the Qi SE does not? 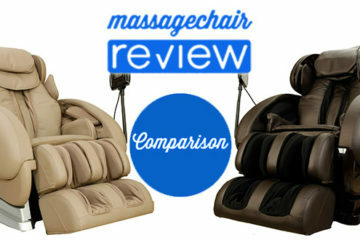 Let our massage chair comparison show you the differences. 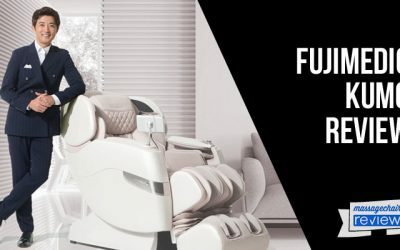 The Osaki Maestro is a two-stage zero-gravity massage chair with state-of-the-art 4D roller technology designed to deliver one of the most comfortable, customizable, and humanlike massages on the market today. 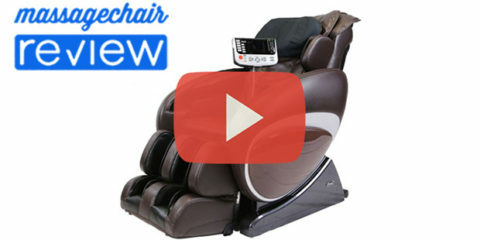 Packed with features like heated rollers, 64 individual airbags for compression massage across the body, and a Bluetooth Amphitheater sound system for a truly immersive experience, it is hard to find another chair like it. It is, indeed, a tough act for any massage chair to follow. 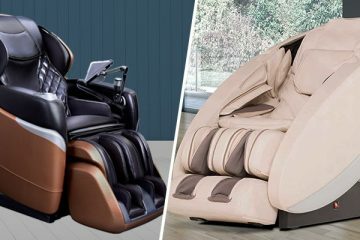 The Cozzia Qi SE follows the bestselling Cozzia Qi as a lower-cost model boasting Cozzia’s revolutionary comfort and massage chair technology. One might expect the “Special Edition” (SE) model to have more features and better functionality than the original Cozzia Qi, but it is actually more of a value-priced model, retailing at just $5,999. 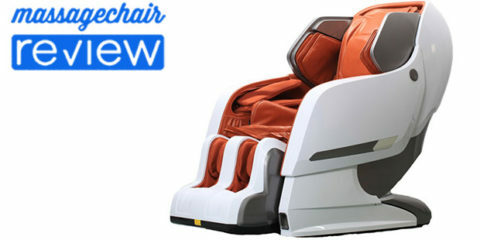 With 4D quad rollers and a hybrid S/L track, heated rollers and heated airbags in the legs and calves, the Cozzia Qi SE does not skimp on features, and is a perfectly good massage chair for nearly any home, especially if you are tight on space and need a massage chair that hugs the wall when reclined. Although the Osaki OS-Pro Maestro and Cozzia Qi SE seem to have similar functions, the Maestro comes out ahead in several categories. 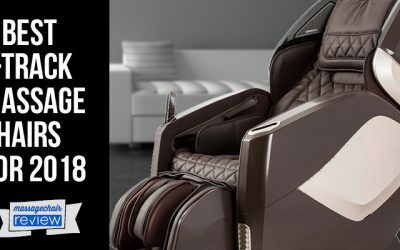 It is tough to find a massage chair that feels as much like human hands as the Maestro’s 4D quad rollers provide, with tons of adjustability and multiple settings so you can customize the massage to your liking. Fast-touch buttons on the inside of the chair allow you to make adjustments on-the-fly, while the LED controller is intuitive to operate. We also love the foot and calve massage the Maestro delivers. And, finally, you have the audio technology, which fills the room with vibrant sound. The speakers are powerful enough that you could use them as your room’s music system even if you aren’t getting a massage at the moment. 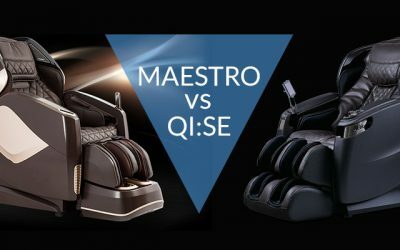 While the Qi SE is a solid massage chair for the price, it really doesn’t compare to the high-end quality of the OS-Pro Maestro. 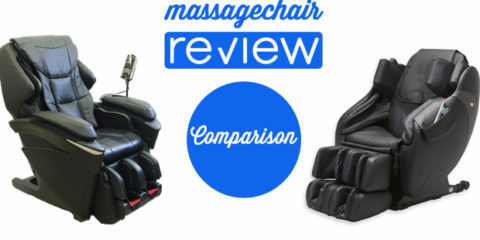 Our massage chair comparison breaks these chairs down, feature-by-feature, so you can decide which is the best choice for you. Osaki took its roller technology up a notch in the Maestro, providing heated rollers to loosen tight muscles, aid in digestive functions, and add even more comfort to your massage. The quad roller technology has been two years in the making and delivers a precise massage with nearly endless adjustments available. The rollers have eight separate forward-back settings, taking the 4D technology to the next level and plunging further for a deep tissue massage. You can also control five levels of intensity, strength, and speed separately for a massage that meets your needs every time. The Cozzia Qi SE uses proven, Japanese-designed Vario-Motion technology that is exclusive to the Cozzia brand. But the heads do not plunge as deep, and the roller technology does not offer the same level of precision or the human-like touch the Maestro delivers. On the surface, the Cozzia Qi SE and Osaki OS-Pro Maestro seem to have similar roller technology, both using quad heads and 4D technology. But the depth and overall range of motion of the Maestro is generations ahead of the lower-priced Qi SE. The Qi SE delivers a rougher massage that some users may even find painful. You get what you pay for and if you want the most advanced, humanlike roller technology on the market today, consider investing in the Maestro. The Osaki OS-Pro Maestro has a 53-inch, extra-long hybrid SL-track designed to accommodate users up to 6’3”, delivering a massage down to the upper hamstrings. The Cozzia Qi SE also has a hybrid SL-track for an effective glute massage. 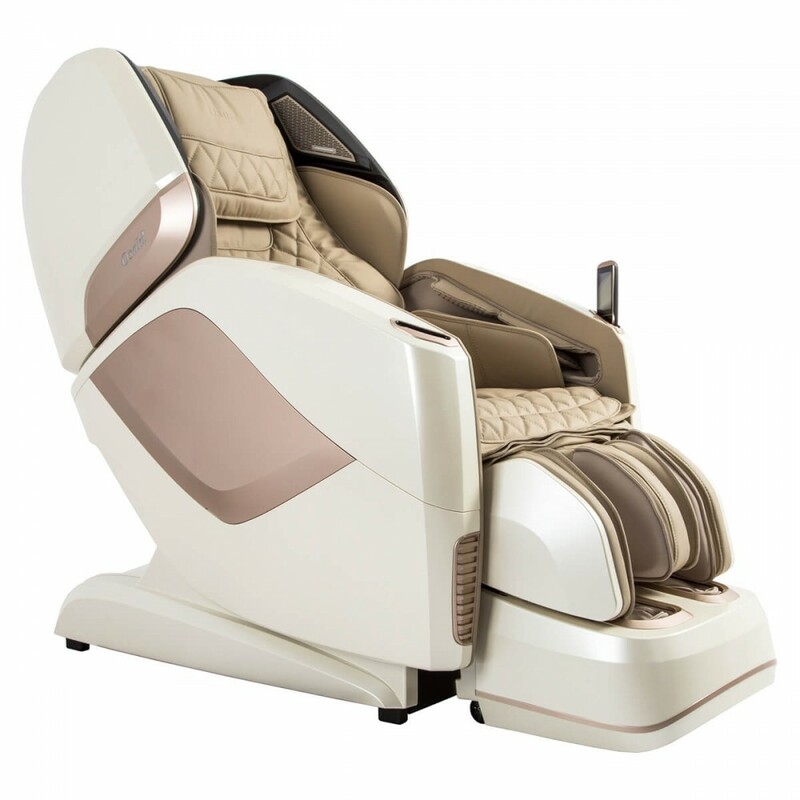 While the Cozzia Qi SE was one of the first chairs to combine quad rollers and an L-track design, Osaki seems to have perfected the technology in the Maestro for a comfortable, customizable massage like no other. The Maestro’s L-track covers 50% more area than traditional S-track chairs. The Osaki OS Pro Maestro uses double body scan technology for a more accurate massage that hits all your pressure points. It also allows you to further customize your massage for greater precision using the LED controller or the buttons on the side of the chair. The Qi SE’s body scan technology is not as advanced as the Maestro or other even other chairs in its class. It is sometimes a challenge to hone in on a comfortable, yet effective massage. On the positive side, the Qi SE has 13 separate programs to meet your needs for a “set-it-and-forget-it” massage. 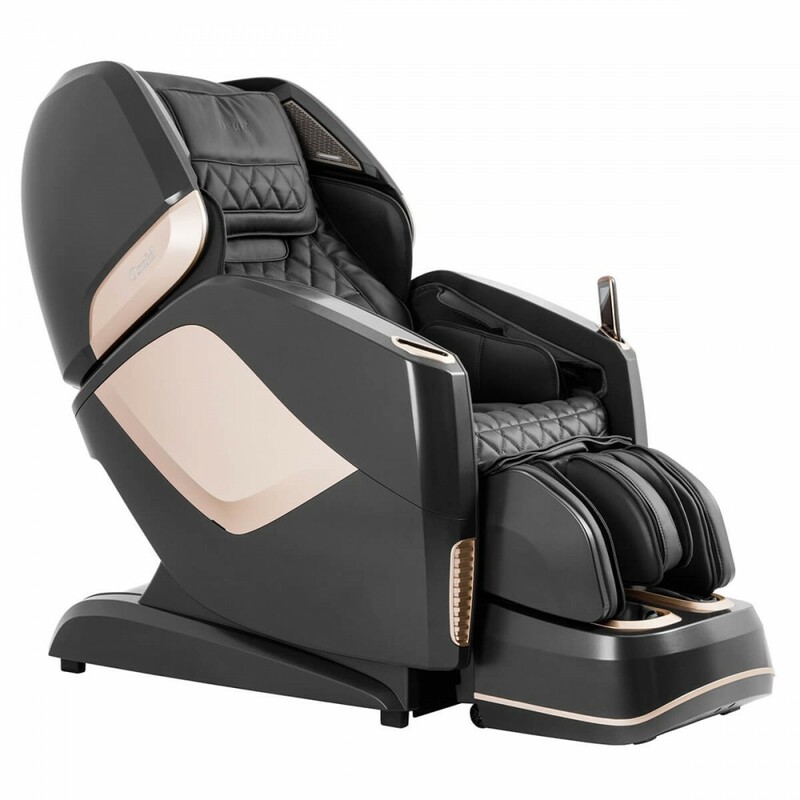 The Osaki OS Pro Maestro has only 8 pre-programmed, full-body massages, but the customization abilities far exceed the capabilities of the Qi SE. The Maestro offers massage programs customized for male or female body types, as well as four pre-programmed massages that target specific body areas: Your neck, shoulders, and upper back, or your lower back and glutes. Within those two areas, you can choose from four programs each, for a total of 16 massages. You can further customize your massage by adjusting the roller settings using the buttons on the arm of the chair or the LCD remote. You would be hard-pressed to find a massage chair with the customization capabilities of the Maestro. 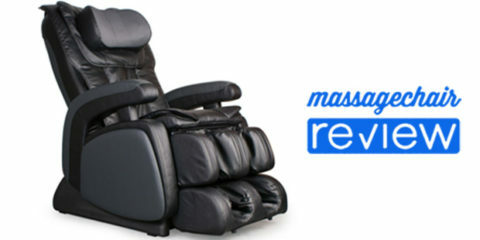 Hands-down, if you’re looking for a variety of options and easy-to-adjust programming, along with a comfortable deep-tissue massage, the Maestro should be your top choice. Neither massage chair provides iPad or tablet control, a favorite feature on some high-end massage chair models like the Cozzia Qi. But the Maestro’s intuitive, slimline LCD remote puts all the functions you need right at your fingertips. Four buttons on the remote make it easy to adjust recline and incline, choose automatic programs, or set the chair back to its original state with the “home” button. The screen expands the options, making it easy for you to choose neck/shoulder, lower back, automatic, manual, advanced or air massage. The buttons on the side of the chair put common functions right at your fingertips without interrupting your massage by having to pick up the remote control. The Cozzia Qi SE uses a wired touchscreen controller. It functions much like a tablet, but you can only use it to control the chair. It is nice to have an LED touchscreen controller as the Cozzia Qi SE provides. But the ease-of-use of the Maestro’s LED controller, combined with the convenience of the on-chair button controls, puts the Maestro ahead of the Qi SE. The Maestro’s 64 airbags that span from shoulders to toes were designed to impress, delivering a comfortable, quiet, and smooth compression massage every time. The hip airbags put pressure in just the right places for a superior twisting massage. Segmented airbags on the hands and arms give special attention to these areas – perfect for post-workout recovery on arm day or just to soothe a tired upper body. The Cozzia Qi SE uses 60 airbags to deliver a compression massage. But they tend to squeeze too tight, lacking the customization and comfort of the Maestro’s air massage. 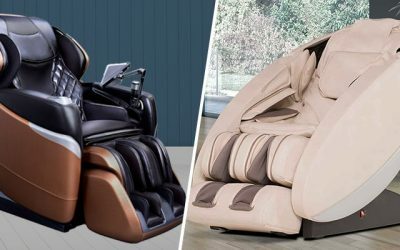 In a massage chair comparison, the Osaki OS-Pro Maestro v. Cozzia Qi SE may seem to have similar compression massage capabilities and a comparable number of airbags. But the added touches of the Maestro put it ahead of the Cozzia Qi SE in terms of quality and comfort. 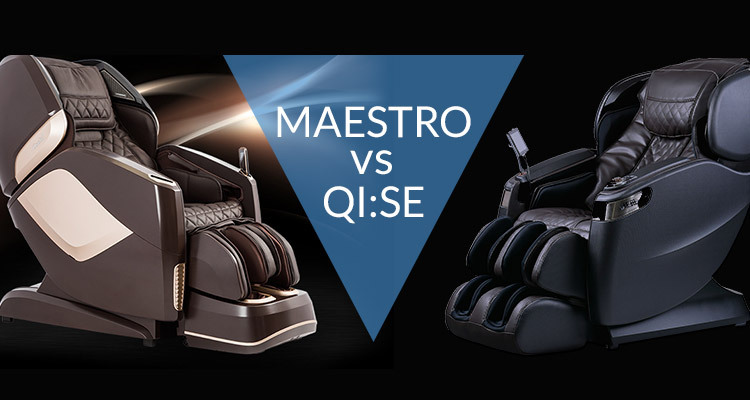 The foot massage capabilities in both the Maestro and the Cozzia Qi SE are worth mentioning. Both are incredibly relaxing and pinpoint problem areas in ways many other chairs don’t. The Cozzia Qi SE uses tri-action reflexology foot rollers with two levels of shiatsu massage along with air pressure, delivering a deep-tissue foot massage. For those unfamiliar with shiatsu foot massage, the Qi SE action may feel painful. Placing a towel on the rollers may help dull the sensations enough to enjoy the massage. On the other hand, the Maestro’s foot and calve massage delivers pure comfort. 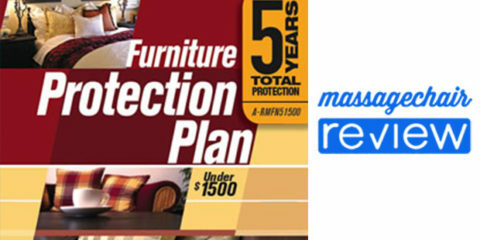 The Maestro features technology to scan your legs and feet, adjusting the enclosed ottoman to the perfect height. The airbags stretch and loosen calves, also oscillating for an incredibly invigorating experience. Rollers deliver a comfortable and effective shiatsu massage, while the ottoman places pressure on the top of your foot for added comfort and loosening of the joints and muscles in your feet. It’s no contest. 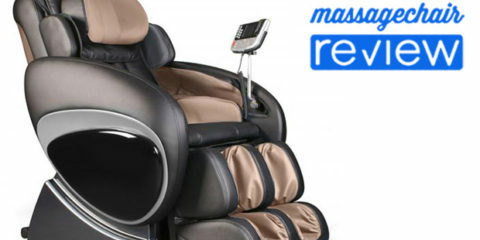 We have yet to find a massage chair that delivers the same level foot and calve massage of the Maestro OS-Pro. If you are on your feet all day, suffer from foot pain, or are an athlete looking for post-workout recovery, the Maestro is worth the investment. Both chairs feature comparable zero gravity settings. Two stages let you choose from a completely immersive experience the benefits of zero gravity in a more upright stance, so you can watch TV or hold a conversation. Both chairs also feature Bluetooth speakers. But the Maestro’s Amphitheater sound system is in a class by itself, delivering crystal clear, transparent sound and enough volume that it can fill the room with music. If you choose nature sounds or a meditation soundtrack, the Maestro’s system really seems to transport you to another setting for an immersive massage experience. The Cozzia Qi SE is a wall-hugging model, requiring only 5 inches of clearance. But it is worth making space in your home for the Maestro, if possible. The Maestro comes out ahead in nearly every category. The sound system is not just an “added benefit” of the Maestro, but a selling point for music lovers. Osaki OS-Pro Maestro vs. Cozzia Qi SE: Which Chair Wins? There are few chairs on the market today that rival the Osaki OS-Pro Maestro. Its features and advanced capabilities put it far ahead of the Cozzia Qi SE. When you select your automatic program, shift you’re your favorite zero gravity position, and turn on your favorite tunes, you will be fully immersed in a world of relaxation and comfort. The Maestro may come with a hefty price tag, but it’s worth the investment.